It is with great delight that Solid Entertainment announces the return of Brooklyn NY based Sharon Van Etten. Having played four exquisite sold-out intimate shows across NZ in 2015 Sharon Van Etten is bringing her full band this time around for one show only at The Powerstation in Auckland on June 5th. The timing of this announcement comes hard on the heels of Van Etten's brand new album Remind Me Tomorow released last week on Jagjaguwar/Rhythmethod (18 January 2019). This, her fifth album, is already being reviewed as the crown jewel in her peerless catalogue. All the more astonishing since Van Etten's last album Are We There itself garnered five-star reviews and was a top 10 critically praised an album of the year in 2014. Sharon Van Etten's progression and return with this new album confirms her place quite simply as one of the most important artists of her generation. The Powerstation on June 5 is a must-see show. Van Etten has always been recognised as an exceptional lyricist and song writer of the greatest substance with a delivery and performance that reaches rare emotional depth and intensity. She is an artist who stirs not just passionate devotion in her fans but a near spiritual connection to her words and music. Sharon Van Etten's first NZ tour in 2015 was deeply memorable for many reasons and even created some worldwide ripples. Audiences were spell-bound with her sublime performances and flawless heart-stopping voice, whilst a live TV cross was picked up internationally. Campbell Live's producers, as a surprise, had organised Van Etten (one of John Campbells favourite artists) to perform a song as a live cross into the show since the host couldn't make it along to the Auckland show. Hugely moved and clearly overwhelmed Campbell was seen wiping tears away as he thanked the artist for caring and saying Music just sometimes keeps you afloat, doesn't it? On Twitter, viewers said Campbell's reaction moved them to tears as well. The clip was picked up on international news feeds and made its way around the world. 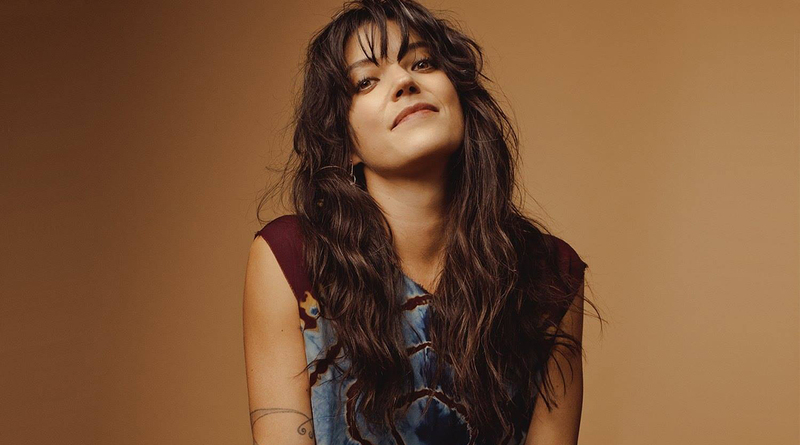 Sharon Van Etten is an artist who touches people with her raw honesty,free flowing emotional richness and openness - connections that have been made with New Zealand audiences too. The last few years have been a whirlwind and the breadth of Van Etten's passions and a life being lived has informed everything she has done. Becoming a mother, returning to school to study a degree in psychology, guest starring in Netflix's hit series The OA, performing on David Lynch's revival of Twin Peaks, writing a first score for Katherine Dieckmann's movie Strange Weather and music for Tig Notaro's show Tig. All this has brought Sharon Van Etten to where she is today. 2019 is set to be a huge year for Van Etten as she returns with her brilliant new album and kicks off a global touring schedule in February taking it live around the world for the first time. It's the most immediate album to date, with an expanded sound and to these ears includes two bona fide bangers in Comeback Kid and Seventeen to add to a catalogue bursting with gems. Sharon Van Etten - an exceptional artist at the peak of her powers, playing with her full band at The Powerstation, Auckland. June 5. Do not miss this!